Energy crisis… what energy crisis? Olivier Rech worked for the International Energy Agency from 2006 to 2009. The IEA is often criticized for too optimistic forecasts concerning oil production levels. Now that Rech no longer works for that organization his forecasts have become much more pessimistic. He expects stronger tensions as of 2013, and an inevitable overall decline of oil production “somewhere between 2015 and 2020”. Summary of his views: non-OPEC 40 mbd (58% production, with 23% reserves), OPEC (42%, 77%). Annual decline non-OPEC 1-2 mbd. Existing production declines 5%/year. OPEC situation less clear. New offshore projects near Brazil, Ghana and Guyana. Gulf of Mexico far from depleted. Arctic uncertain, will take another decade for production from that region. Expects global peak production to remain below 95 mbd for conventional and unconventional oil combined. Oil production on a plateau of 82 mbd since 2005. Including biofuels and coal-to-liquid, that’s 88 mbd for all liquid fuels. According to Rech this will be about the maximum. Expects tensions between 2013-2015 and decline to start between 2015-2020, but it will not be rapid. How Much Fuel Is Left? Liquid fuel reserves from all sources according to the IEA. IEA thinks the world will have 100 million barrel of fossil fuel per day by 2035. Idem but corrected for energy content per volume as well as net energy. 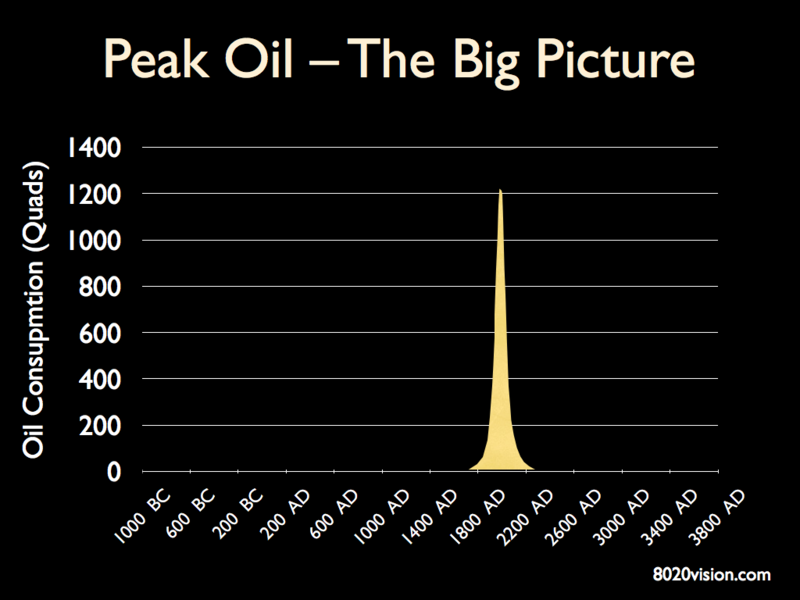 After correction 70 million barrel per day remain in 2035. After compensation for other factors, 40 million barrels per day remain in 2035, according to Antonio Turiel. The prediction made by the IEA is that by 2020 the US will overtake Saudi-Arabia in oil production. Implicit message from the IEA to the world: “do not take our predictions serious“. Message from us to the IEA: “we won’t“. [theoildrum.com] – more about the IEA. 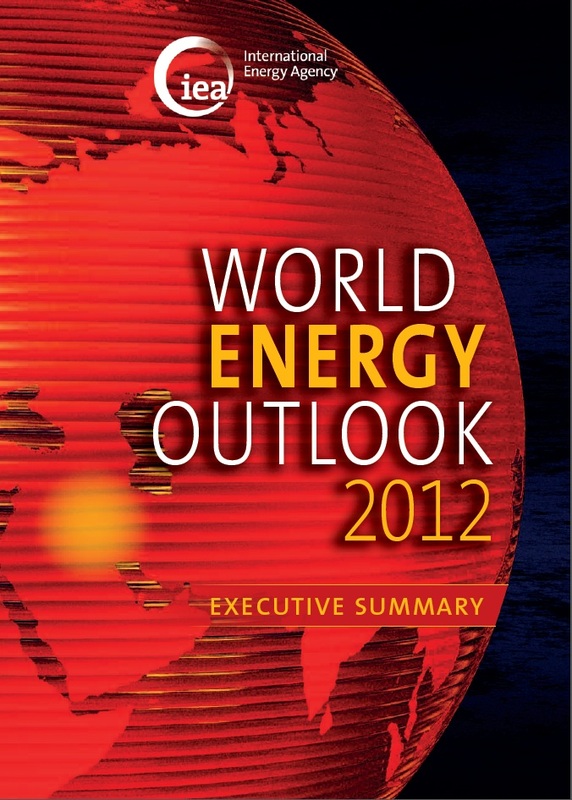 From the cover: Industry and government decision makers and others with a stake in the energy sector all need WEO-2012. It presents authoritative projections of energy trends through to 2035 and insights into what they mean for energy security, environmental sustainability and economic development. Oil, coal, natural gas, renewables and nuclear power are all covered, together with an update on climate change issues. Global energy demand, production, trade, investment and carbon-dioxide emissions are broken down by region or country, by fuel and by sector. [rtcc.org] – One page summary. Interesting factoid: fossil fuel subsidies in 2011, jumped by almost 30% to $523 billion. That’s roughly 523 GW wordt of installed wind energy or 0.5 TW. Total world energy consumption is 200 TW.